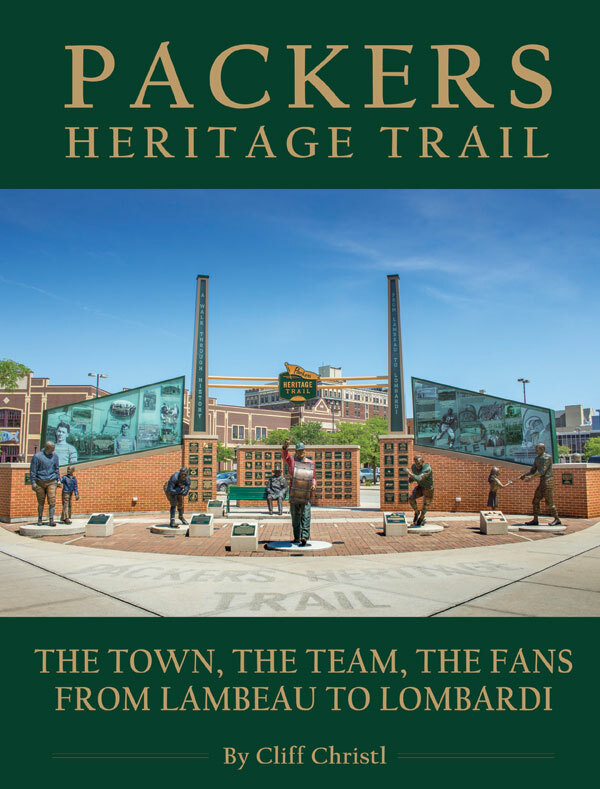 Packers Heritage Trail: The Town, The Team, The Fans From Lambeau to Lombardi tells the improbable story of how the Green Bay Packers miraculously survived and, even more miraculously, attained unmatched success against their big-city rivals over their first 50 years. The book bridges two eras of unequaled dominance in the NFL and two coaching legends, Curly Lambeau and Vince Lombardi. It also weaves throughout the richly romantic side of this story: How the Packers became a community property, owned and beloved by their fans in a one-of-a-kind town. The Packers can lay claim to a history unlike any other team in professional sports. This book tells it in more detail and more accurately than it has ever been told before. The city of Boston, the “Cradle of Liberty,” has its Freedom Trail. In football-crazed Green Bay, a “Cradle of the National Football League,” there is the Packers Heritage Trail with its resplendent downtown plaza and 25 landmarks with commemorative plaques. Most of the sites where Packers history unfolded from 1919, the year Lambeau co-founded the team, through 1968, Lombardi’s final season in Green Bay, are still standing in some form and comprise the Packers Heritage Trail. The Packers Heritage Trail book tells about the team’s hardscrabble start on the fields of Hagemeister Park and City Stadium, examines the bizarre and never-before-told story about the packing plants that sponsored the Packers in the beginning, and takes you behind the scenes at some of the most momentous and sometimes discordant meetings where franchise-changing decisions were made. The Packers are a unique franchise. This book takes a unique look at their history that makes it a must-have for all fans of the Green & Gold. Author Bio: Cliff Christl has been the official historian of the Green Bay Packers since 2014 and also was the founding president of the Packers Heritage Trail Foundation, Inc. A native of Green Bay, he previously spent more than 35 years working as a sportswriter for the Milwaukee Journal Sentinel, Green Bay Press-Gazette, writing about the Packers for much of that time. Pre-Order Today! Books ship September 28, 2017.